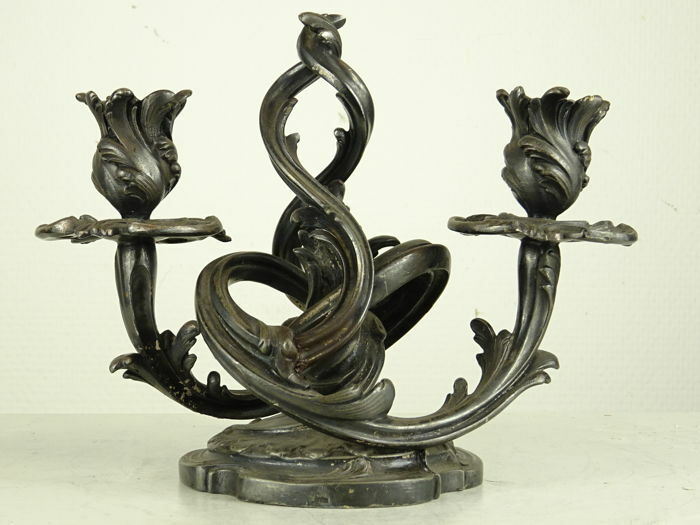 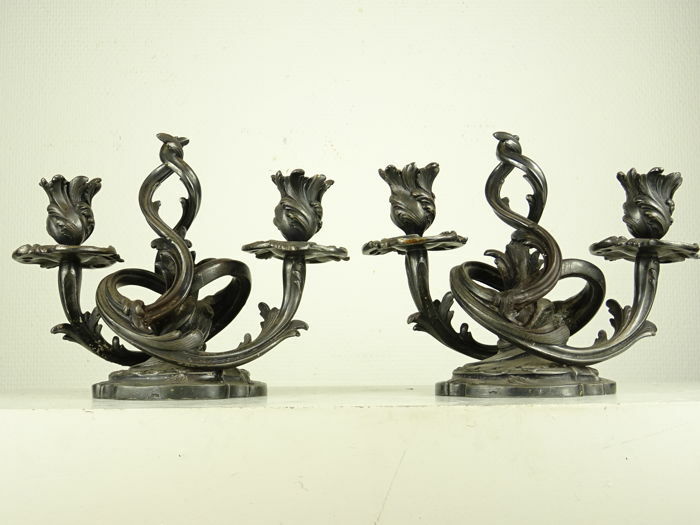 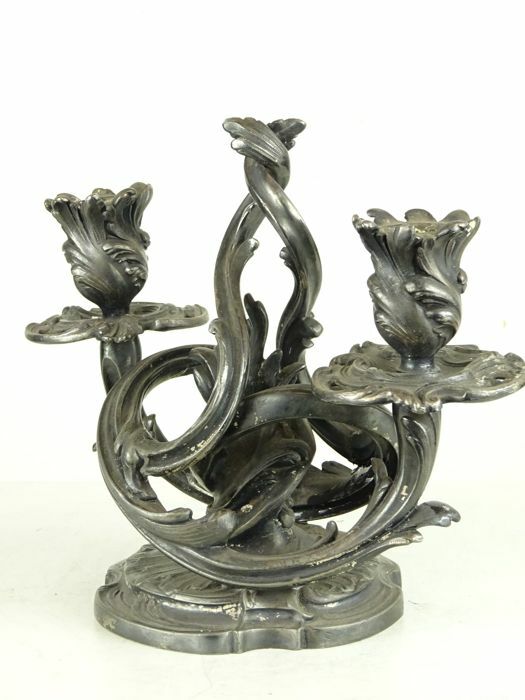 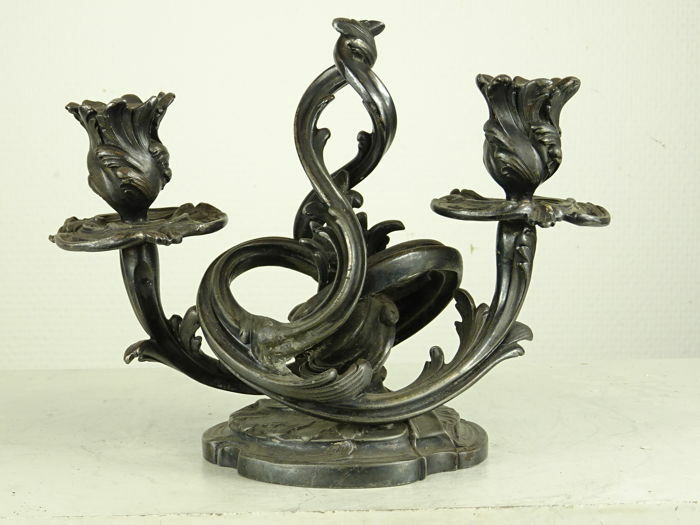 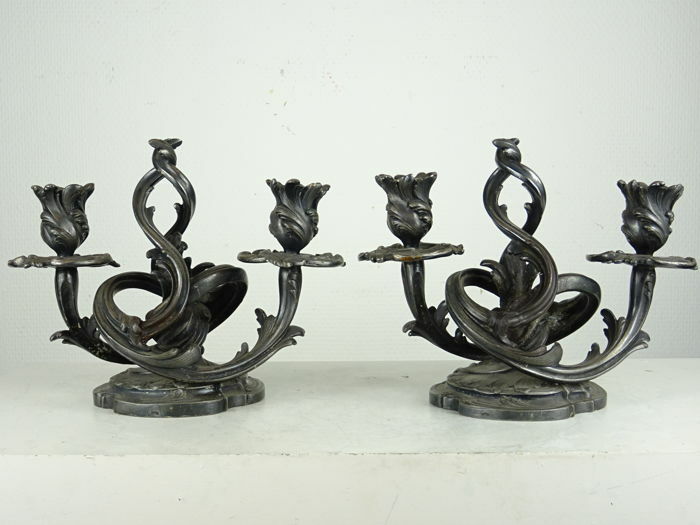 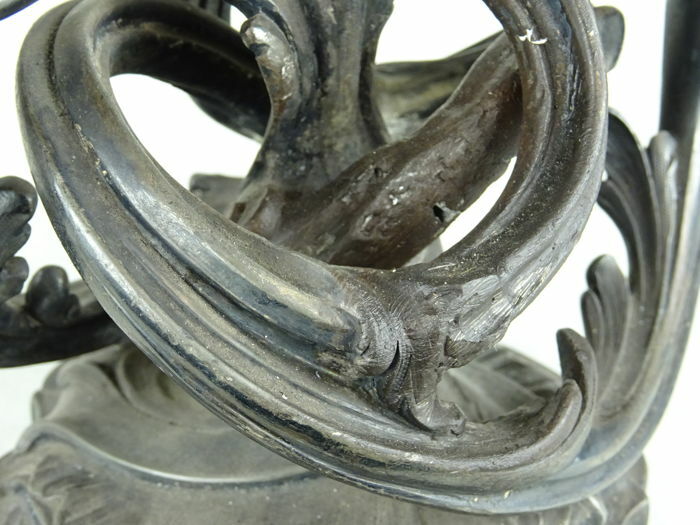 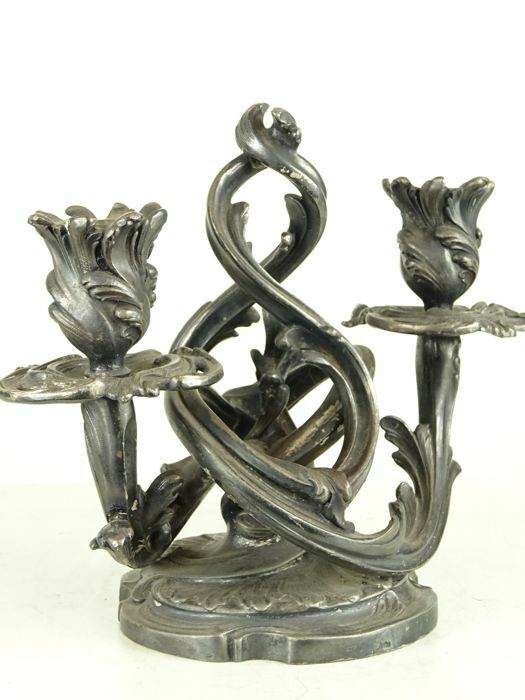 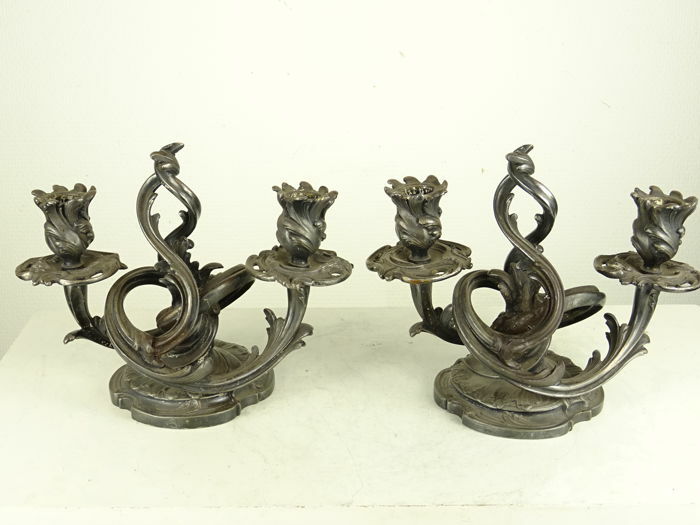 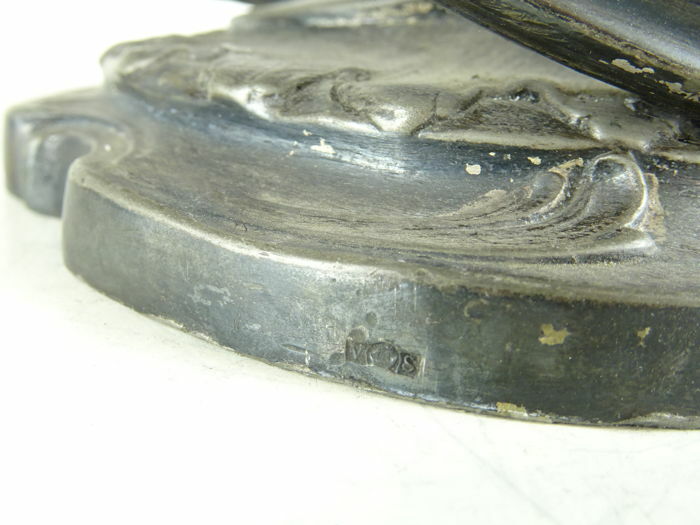 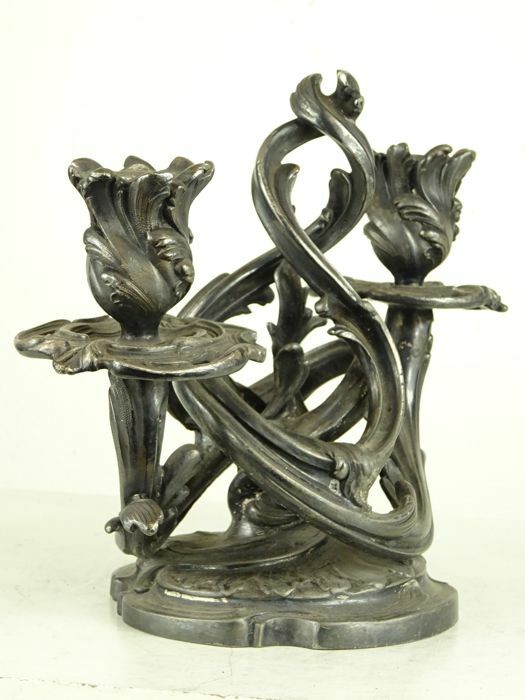 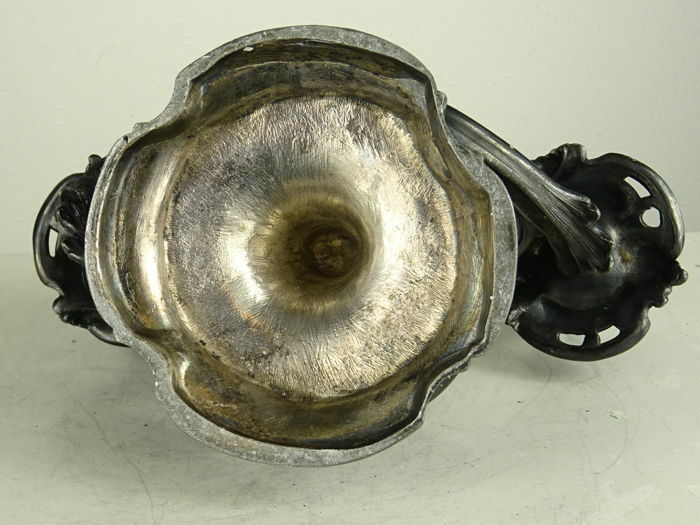 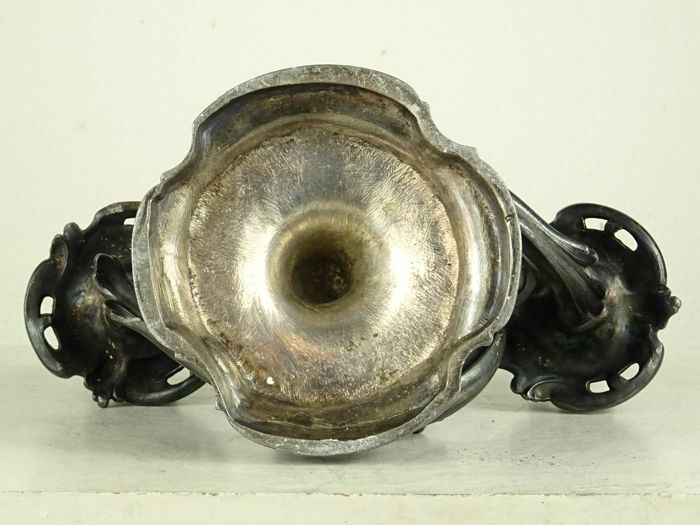 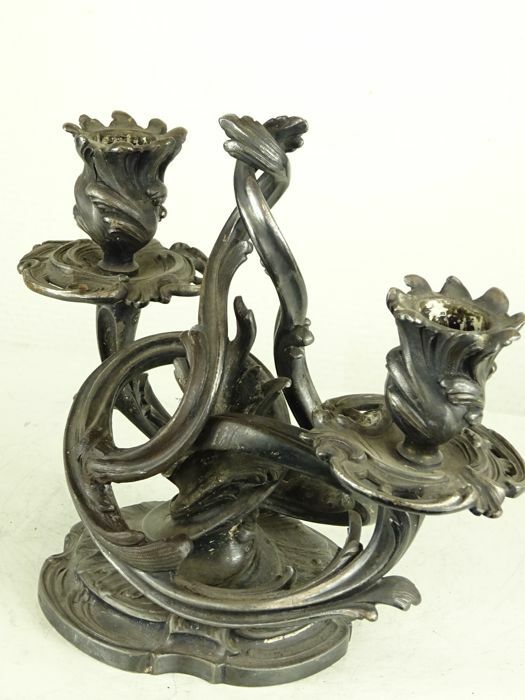 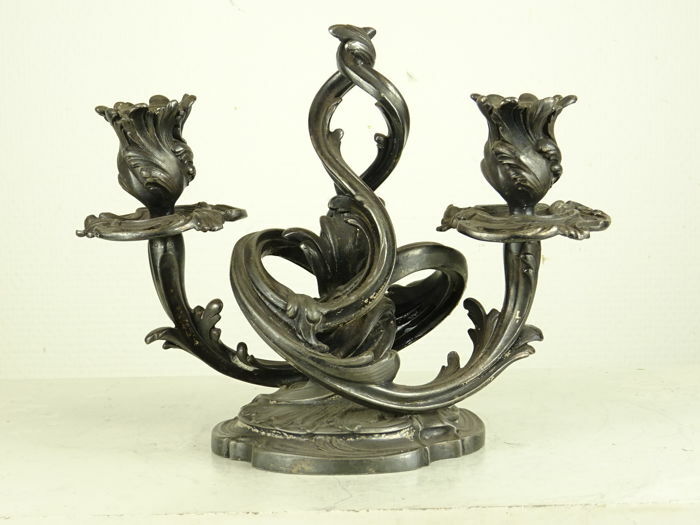 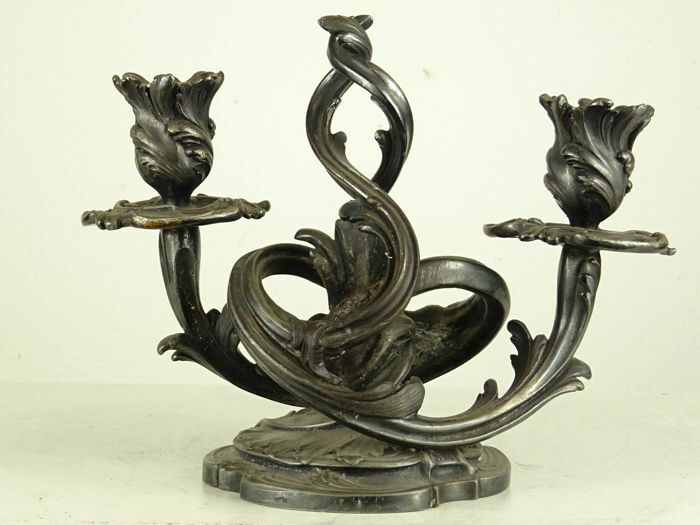 A fine pair of silver plated candlesticks, measuring circa 17½cm tall and 23cm wide, and weighing a combined 3742g. 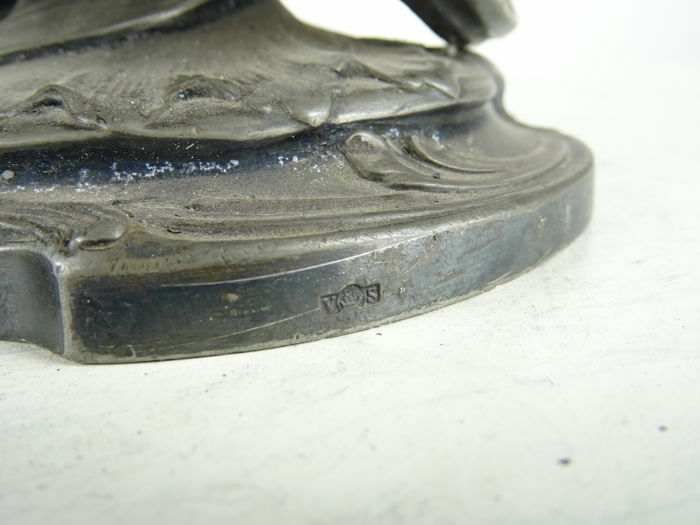 Marked to the base with maker's mark V&S. 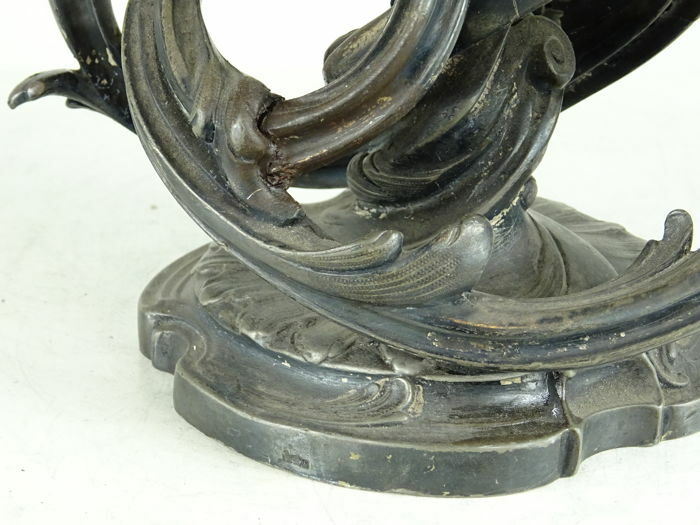 Condition: Some restoration, otherwise good.